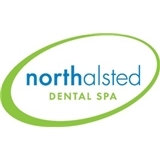 Northalsted Dental Spa (Chicago) - Book Appointment Online! We are a full service general dental office with a very helpful staff in a comfortable environment. We perform just about everything from basic cleanings to smile makeovers. Invisalign, painless veneers, and teeth whitening are very popular cosmetic procedures here. Also, we offer Botox and Dermal Fillers to frame your beautiful smile. New patients are welcome! Dr. Griffin is skilled, personable, and is a great communicator. He always takes time to explain procedures, and is able to provide good options for care. We highly recommend him to anyone needing a great dentist in Chicago.